The Brussels-based NGO, European Emergency Number Association (EENA), has launched Next Generation 112 (NG112), a new pan-European technical architecture to enable emergency calls through new technologies like VoIP and video calls from smartphones, 5G devices, and home speakers. So what will the next generation of emergency calls look like, and why should we care? Lumbreras says it’s incredibly important to ensure that emergency services don’t become technologically isolated, and keep up with current user trends. When a person is in an emergency situation they’ll instinctively use the communication methods they’re used to — so emergency services need to adapt. This can be tough, though, as a myriad of countries, cities, emergency responders, and companies are needed to bring about this change. That’s why EENA is launching NG112; the goal is to inform all of these parties the standards exist and bring public and private ventures together to save lives. The solutions also need to be interoperable to ensure maximum effectiveness, and that’s what the NG112 architecture will bring. The European initiative is partly based on NG9-1-1 in the US, so there’s some hints already of the results. Maria Jacques, President of the US National Association of State 911 Administrators, told TNW that Europeans have a lot to look forward to with NG112 as it’ll make emergency services far more effective — benefiting everyone. In Maine, where Jacques is also the Director of Emergency Services Communication Bureau, this has allowed emergency services to adopt text communication similar to instant messaging, which is extremely important for people with hearing disabilities and often used in domestic violence situations. Dispatchers can also easily transfer those conversations to more relevant emergency services across state (and even national) borders, making it easier to save lives. EENA has supported many European emergency tech projects, such as implementation of AML, use of rescue drones, and using AI to detect heart attacks during emergency calls. The EENA-backed NG112 aims to match NG9-1-1’s capabilities, while also exploring the vast possibilities of rising technologies. EENA is currently looking for public authorities and private companies across Europe to join NG112. The first step will be to update how calls from smartphones are processed (going beyond the old fashioned phone call); Lumbreras says the nonprofit is already in discussions with multiple parties for other emerging technologies, such as manufacturers of smart speakers. The final partners will be announced in June, and the goal is to implement the NG112 in two countries soon after. The results of the 12-month project will then be announced next year. 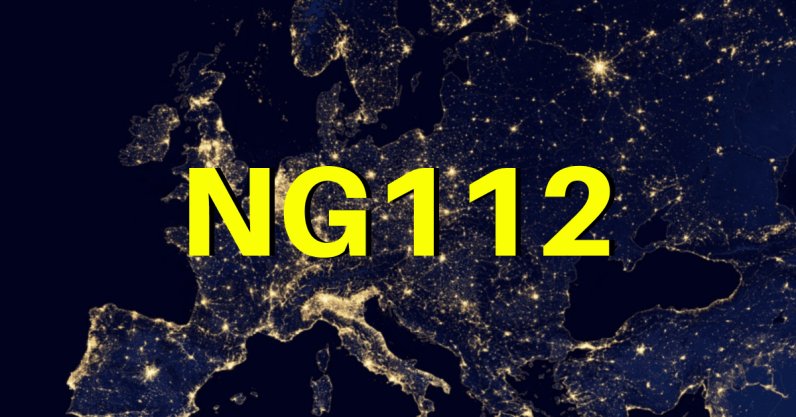 You can learn more about NG112 and it’s implementation on EENA’s website.